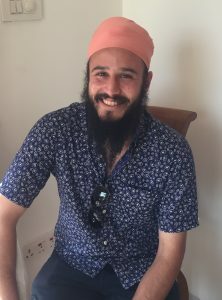 Rishi Parbhaat Singh Khalsa is a graduate of Miri Piri Academy. 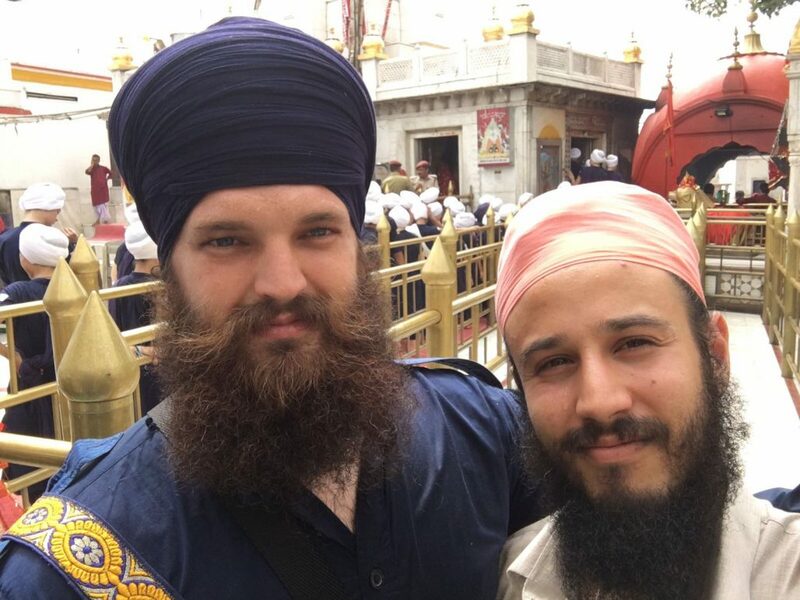 He was visiting MPA at the start of the school year and joined us for our initiation trip to Anandpur Sahib. I sat down to speak with Rishi about what he’s been up to since graduating from MPA and how he feels his time at MPA has impacted his life. Received a Bachelor’s Degree from California State University, East Bay with a triple major in Economics, Spanish and International Studies. He also studied abroad in Spain during that time. Joined the Peace Corps and spent two years in Costa Rica working with the Ministry of Public Education and the Peace Corps TEFL Program (Teaching English as a Foreign Language). Received a Masters in Development Practice from the University of California, Berkeley, graduating in May of 2017. Did exploratory research in the Punjab for Global Press, an organization which trains and employs women in developing media markets to be ethical, investigative journalists. Spent two summers studying Punjabi in the Punjab. First through the Critical Language Scholarship Program and this past summer through a FLAS (Foreign Language and Area Studies) Award. Next month, Rishi will begin a ten month fellowship through California State University, Sacremento. The fellowship is called the Executive Fellows Program and although he doesn’t know which department he’ll be working with, he’s excited to have the opportunity to work on policies that could potentially benefit California and the rest of the world. One of the things that I’ve always been grateful for was growing up in two different countries. We often slept on trains, in train stations, in nivases and anywhere we were. I feel there’s a resiliency that can be developed here but also cultural competencies. I don’t know if that’s always available at MPA, because sometimes it’s a sheltered life, but even now, the school has changed to the point that there are students from so many different countries and cultures. Having spent so much time in India, I feel comfortable traveling and I feel like I can handle most situations. I think being in India had an impact in shaping my interest in development. I realized that I enjoyed having a broader understanding of the rest of the world. Growing up in India, I saw that there wasn’t much difference between myself and some of the kids on the street begging for money. Being confronted with that was an eye-opening experience; you couldn’t hide from it and pretend that it didn’t exist. Seeing that kind of thing made me aware but so did other things; my dad’s an activist and there are the Sikh ideas around seva and serving others. As far as what I learned at MPA, a big part is discipline. 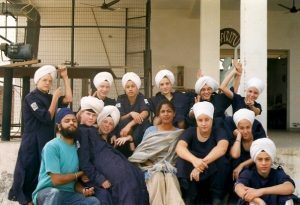 I also developed my own connection with Sikhi and the Punjab that would not have been possible if I hadn’t gone to MPA. There are other little things too that I do now that were developed from my time at MPA; things like the way I stretch or how I calm and center myself. A lot of those things have foundation in my time at MPA and have shaped who I am. It’s a crazy experience coming back here and seeing the students ten years later. In the interactions I’ve had so far, I can definitely see a lot of the progress that’s been made and that makes me really happy. I definitely hope that the students can get a lot out of it. I know it can be tough; especially at this time of year when it’s hot and the students are away from their families for the first time. MJ Gurprakash Singh was in my class at MPA. It’s great seeing him. Even though we don’t talk or see each other very much, after being here for such a long time together, it’s like second or first family. You always have someone if you need it. MPA is another family.